Posted on August 21, 2012, in PC stuff and tagged 7, dns, dns server, dns settings, netsh, windows, windows7. Bookmark the permalink. 9 Comments. nice script. which tag is used un wordpress to publish batchscript code? Hey, thanks for your comment. I am using just the tag, but it does not seem to do any highlighting on batch scripts. Thanks. 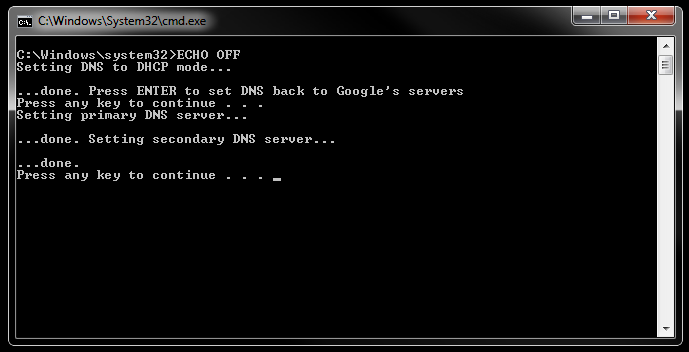 I got the first dns server to populate, but not the second until now.